Feel the difference... it's sensational! 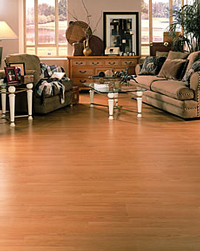 The look of oak and maple combined with Mohawk DuraLoc® glueless installation system makes these floors as easy to install as they are beautiful. No unsightly seams, no messy glues, the precision designed locking system guarantees the tightest possible fit.